It's a great podcast. I haven't gotten a download for a week. What's up. I miss yoosguyz. I miss this great daily show. Disappearing without any notice on website or otherwise is not very professional. Edit: Glad to have the show back, new host and all. The sound of Silence, Will it every return?? New products are covered by reading the vendors' press releases. Political issues are covered by reading Republican press releases. (e.g. coverage of the FAA shutdown). This is a nice concise aviation news report. Great podcast! I look forward to it everyday. Paul does a fantastic job. Bob Miller on Monday’s is a favorite. Keep up the great work. You are head and shoulders above the rest! Timely, well chose topics covered in a clear, concise, professional and impartial manner. The host, Paul Plack, is a great speaker and easy to listen to. This is a podcast that makes me look forward to my commute on the NYC subway (not a trivial feat!) I highly recommend it to all pilots and aviation enthusiasts. Also note there are two versions every day, the aero briefing is about 15 minutes and contains a fair amount of detail while the touch-and-go is a 5 minute summarized version of the same content. This is great since it allows one to choose which one to listen to depending on available time. I look forward to downloading this podcast every day. 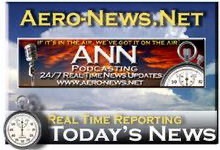 Covers a wide variety of aviation-related news with a little commentary sprinkled in for good measure. Great interviews with aviation luminaries as well. Highly recommended! I've been a fan of this website for my aviation news for the past few years. But the podcast is even more amazing. It's hosted by a true professional who's voice is a pleasure to listen to. Their guests are some of the biggest names in the avaition business. If you only subscribe to one aviation podcast, this should be it.